The Economic and Financial Crimes Commission EFCC), Wednesday, declared a professor wanted. The anti-graft body said the suspect, Prof. Olufunmilade Adeyemi, Managing Director of Stealth Group Limited, is wanted for allegedly defrauding unsuspecting victims of N34m. 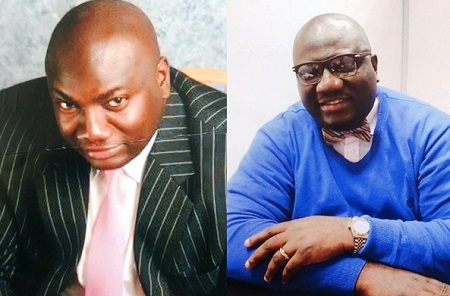 In a statement, the EFCC said Adeyemi allegedly defrauded the victims under the guise of selling property to them. A statement released by EFCC reads: The public is hereby notified that Adjunct Prof. Olufunmilade Adeyemi whose photograph appears below, is wanted by EFCC in a case of obtaining by false pretense and diversion of funds. The suspect is the Managing Director of Stealth Groups Limited and is alleged to have swindled unsuspecting victims of the sum of N34million under the guise of selling property situated within Complete Leisure Estate to them. Adeyemi is dark in complexion and hails from Ikeja LGA of Lagos State. He speaks English and Yoruba languages fluently. His last known address is Plot 820 Alhaji Shamsi Thomas Crescent, Omole Phase, Ikeja, Lagos and No. 13b Oba Elegushi Beach Road, Lekki, Lagos. Anybody with useful information as to his whereabouts should contact the Commission in its Enugu, Ibadan, Kano, Lagos, Maiduguri, Gombe, Port Harcourt and Abuja offices or through these numbers 0809 3322 644 (0809 EFCC NIG), its e-mail address: [email protected] or the nearest Police Station and other security agencies."